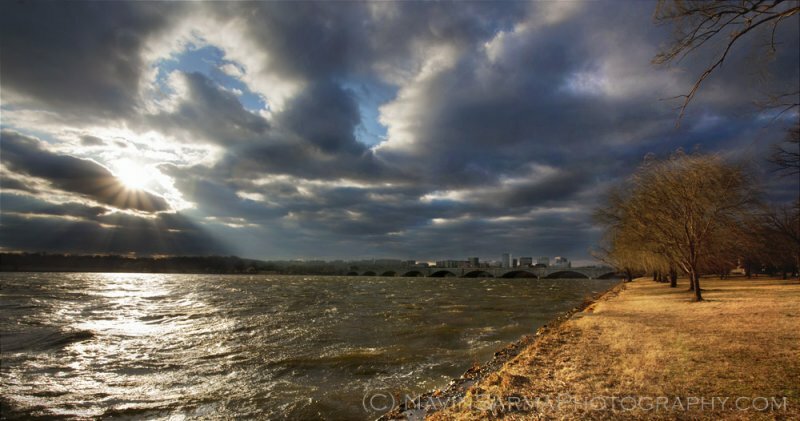 A clearing storm and 60mph winds in Washington, DC meant one thing to me: violent waters and flapping willows on the Potomac River. A perfect opportunity for some striking images. Here’s one of the sun peeking through the clouds and spotlighting a group of bare willows. Note how their limbs are flailing in the intense wind.